Low-dose computed tomography of the lung for the early detection of lung cancer. Lung cancer is the most common cancer leading to death, because often the bronchial carcinoma is detected only when symptoms and therefore late. An early diagnosis is all the more important because the success of lung cancer treatment in small, symptom-free tumors is significantly better than in the advanced stage. Why a low-dose CT of the lungs? 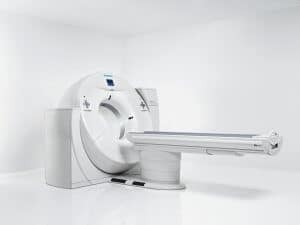 The goal of low-dose CT is to detect lung tumors at an early, symptom-free stage. A special target group for this investigation are therefore mainly smokers. Due to the low dose during the examination, the radiation exposure is significantly reduced because the lungs have a particularly favorable contrast ratio between normal and diseased tissue. Special preparation is not required for the patient. You can eat and drink as normal as before. A contrast agent is not given to them for this examination. The actual low-dose CT examination takes only a few minutes. We produce a variety of layered images of your lungs, which are then evaluated by our doctors for radiology. The images are available on CD immediately after the examination. Within a few days, we will prepare a detailed report. A low-dose CT of the lungs is a screening exam. This is currently only accepted by private insurance. Therefore, we ask legally insured patients to clarify the reimbursement with their health insurance before the examination. The billing takes place according to the fee schedule for doctors (GOÄ). How do iterative reconstructions for dose reduction in computed tomography work? 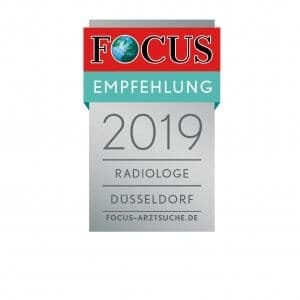 Outstanding image quality with the lowest possible radiation exposure for the patient is an everyday challenge at the Radiologie Düsseldorf Mitte. However, if the dose application is simply reduced in computed tomography (CT), this generally leads to increased image noise and thus to lower image quality. To produce high-quality images at a lower dose, Siemens Healthcare has developed “Iterative Reconstruction in Image Space (IRIS)”. Here, the clinical images for different levels in space, such as axial, frontal, sagittal et cetera, reconstructed by means of mathematical methods.